Until next time, Times Square! Published on April 27, 2009 in General and travel. 0 Comments Tags: cab, New York, NYC, taxi, Times Square. Until next time, Times Square!, originally uploaded by !!! :: jozjozjoz :: !!!. 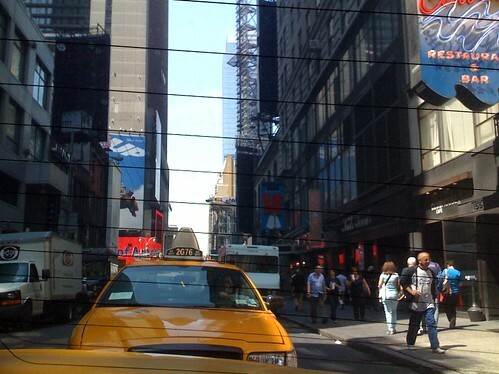 Leaving Times Square; heading to the Upper East Side. Uploaded by !!! :: jozjozjoz :: !!! on 27 Apr 09, 10.11AM PDT. The jozjozjoz.com archives for the cab tag.